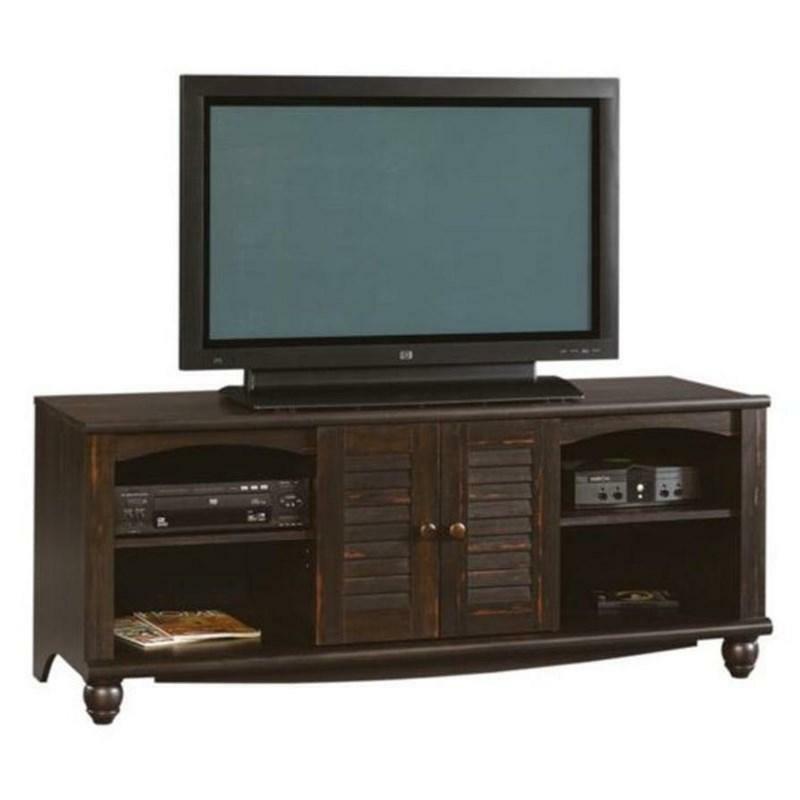 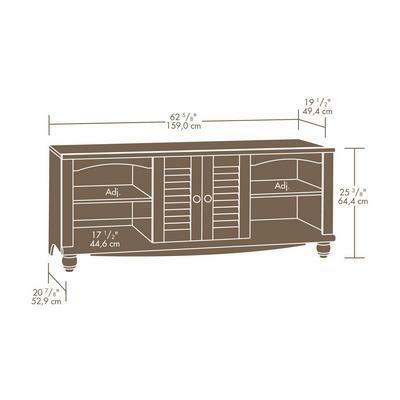 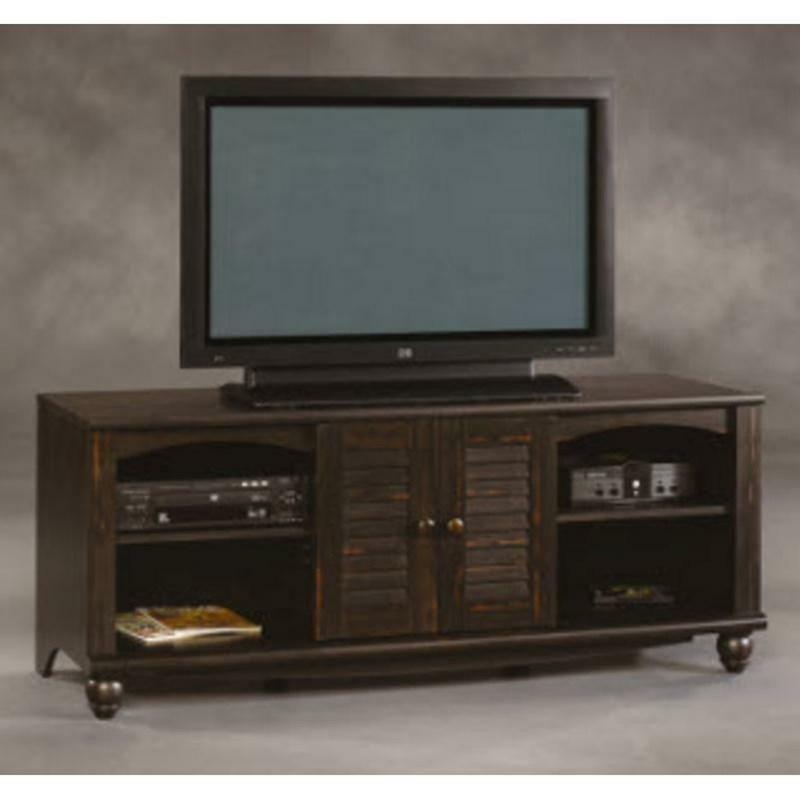 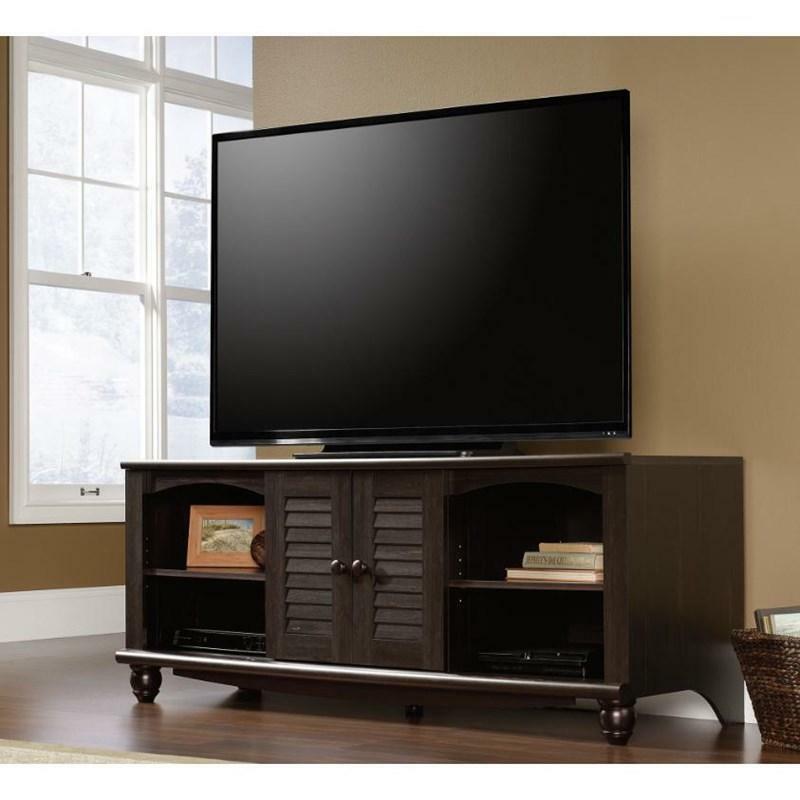 Spruce up your home with the Sauder Harbor View Entertainment Credenza! 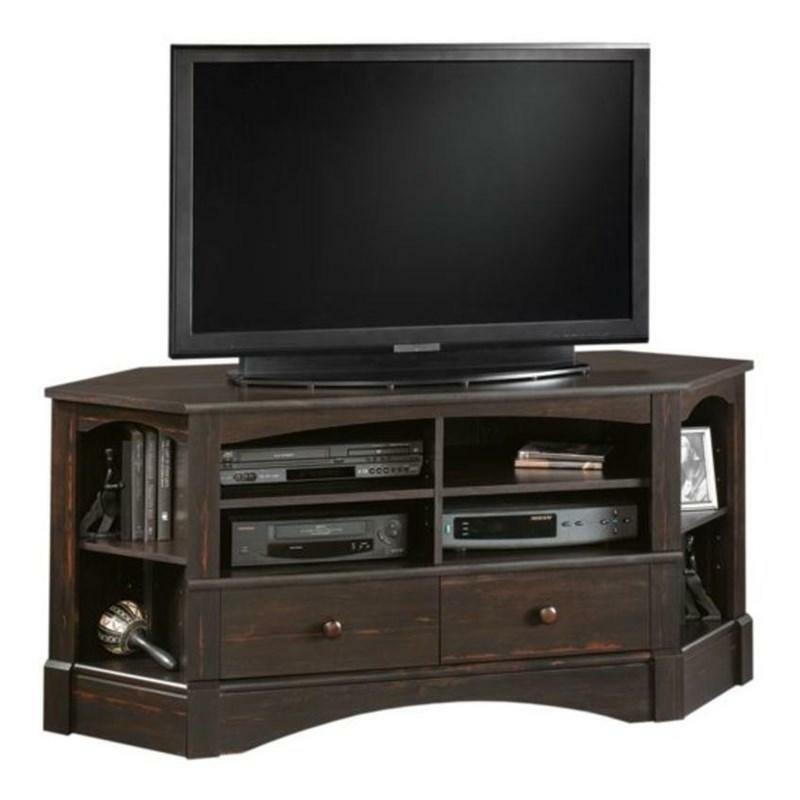 Combining style and durability, this piece has an elegant look that will enhance any living space. 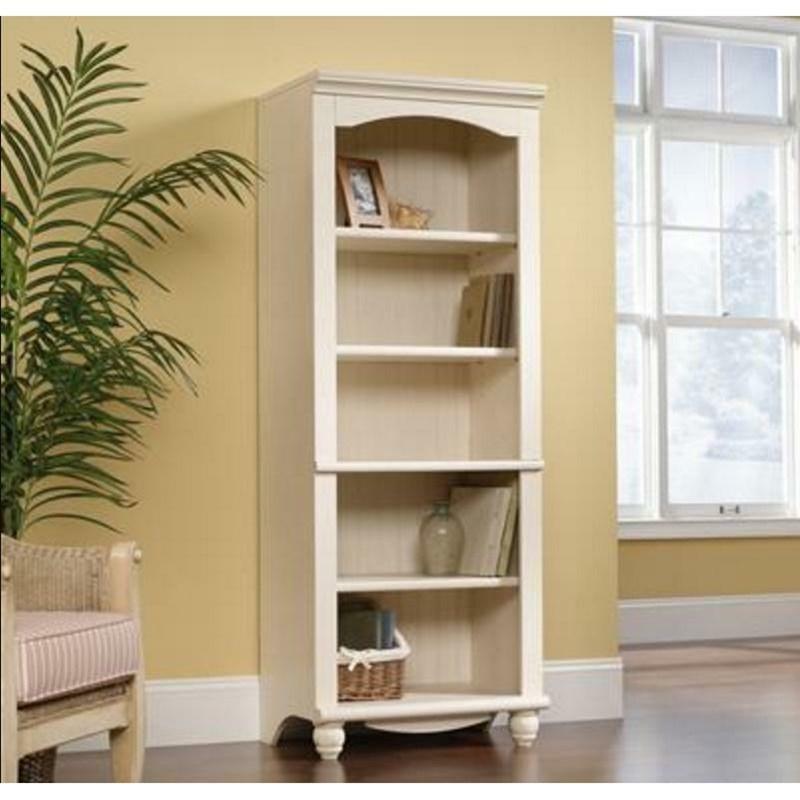 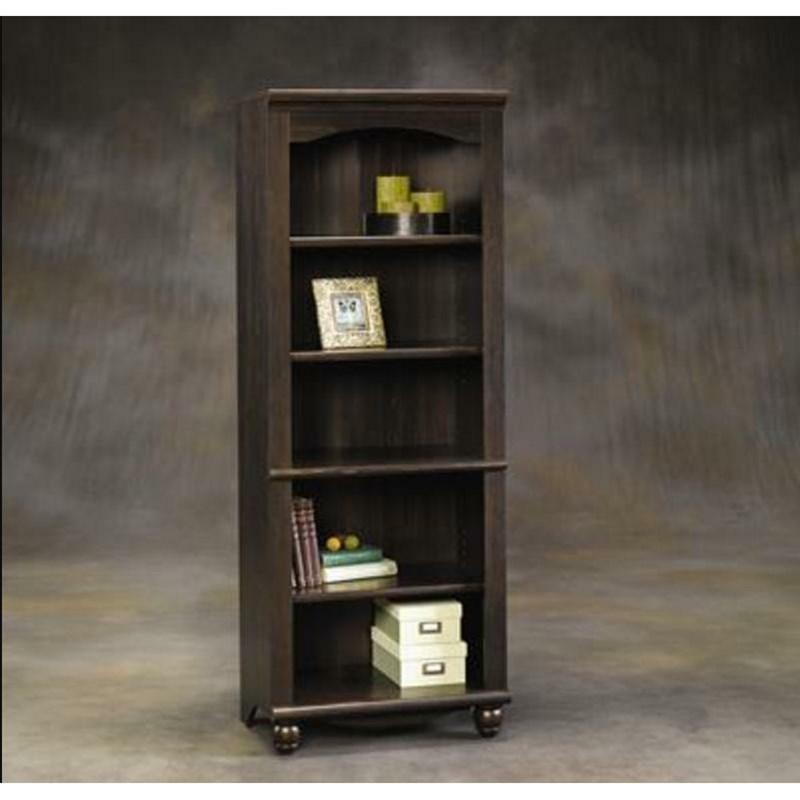 It features two adjustable shelves, two louvered style doors with storage behind. 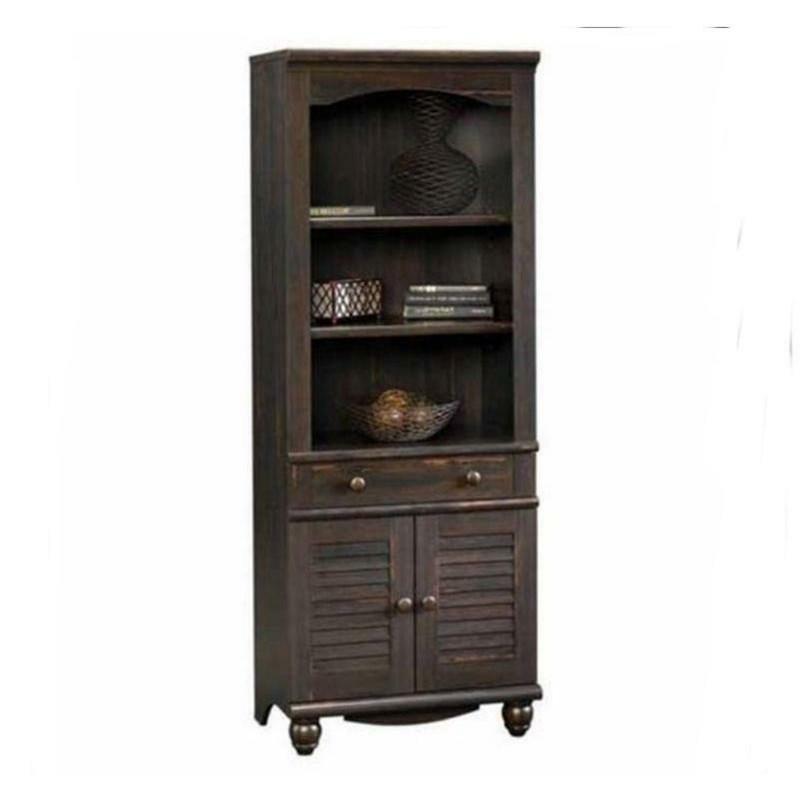 It comes in an antiqued paint finish and stands on turned feet.